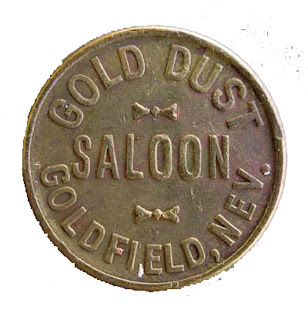 Western Whiskey Gazette (WWG): Real? Repro? Fantasy or Fakes? Real? Repro? Fantasy or Fakes? Looks to me like enough collectors banded together and got involved; and made a difference. As of this AM, "stoneware-and-photos" (aka "kycollectibles12") eBay feedback has gone private and all listings have been terminated. GOOD JOB to one and all for making a difference. Hopefully the bidders who were defrauded will be reimbursed and the seller will get their just deserts. 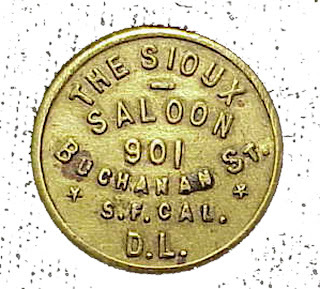 Yesterday, I was pointed in the direction of antique advertising tokens that are associated with the Az. Nv. and S.F. jugs . Based on what I see, the person / persons that "created" these jugs, simply copied the information present on the original and authentic tokens. The seller on ebay was kycollectibles12. "The box below contains the User IDs that this member has used on eBay. " The seller has already closed four sales of these suspect jugs, for as much as $473.68 a pop. I just noticed that one of his listings had the description revised and although he still claims that these were his grandfathers, he now states that they may be "older reproductions". Duh, reproductions? Ya think? Regardless, based on the user ID monkey business and all the red flags, I'D make a wide berth of these offerings. This morning I spotted three fresh listings on eBay. They are for "Mini Stoneware Scratch Jug". 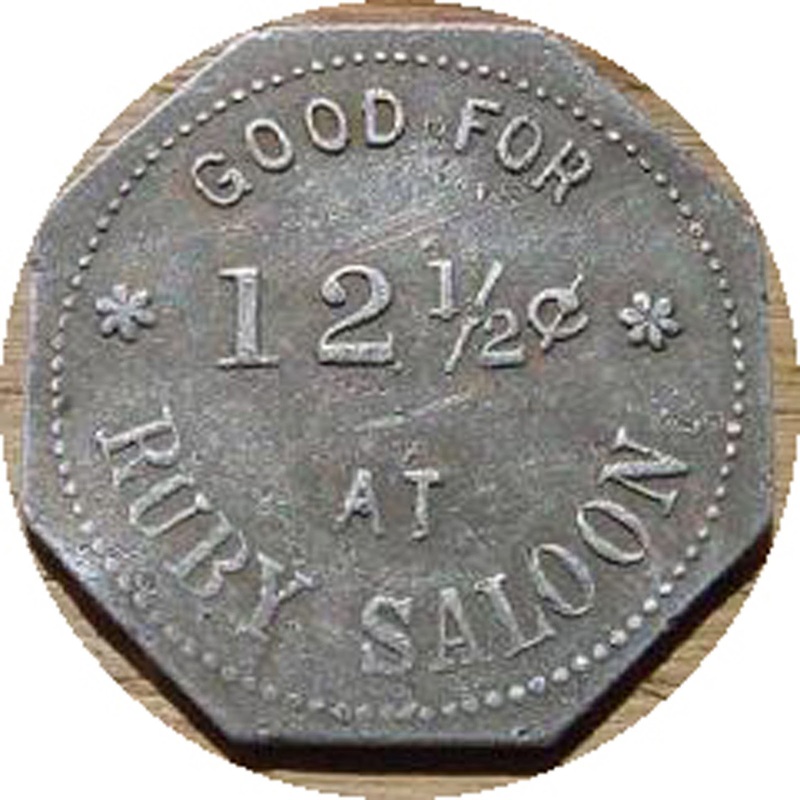 One is incised "Compliments Of The Ruby Saloon Yuma Ariz 1900". It is listing number 111151276386. 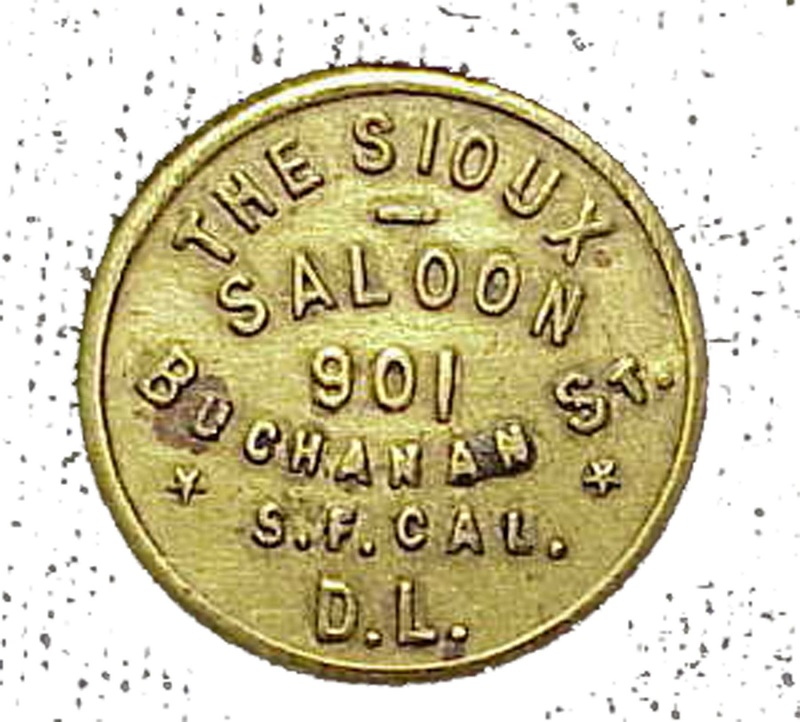 The next one is incised "Compliments Of Sioux Saloon 901 Buchanan St S.F Cal". It is listing number 111151283228. 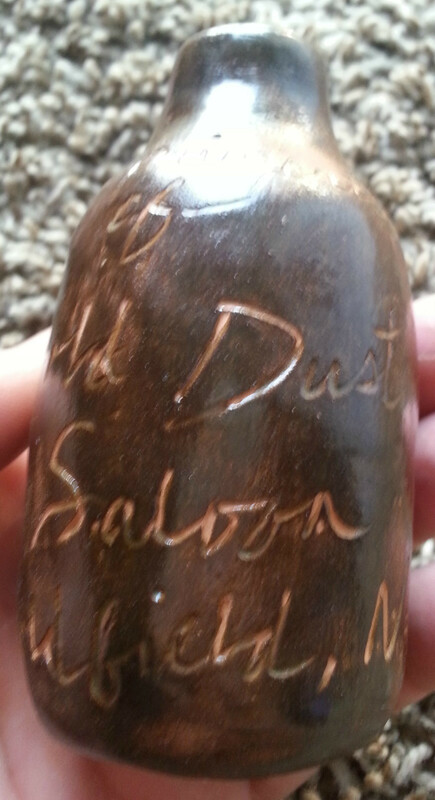 The third is incised "Compliments Of Gold Dust Saloon Goldfield Nev". It is listing number 111151278923. Seller states; I acquired this collection from my grandfather and don't know anything about them so i am selling with NO GUARANTEES!!!!!!!!. And then I got to looking at the word "OF". More than just a casual similarity? 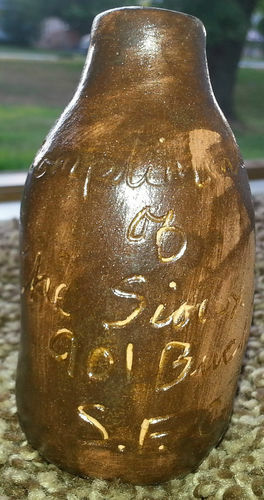 Bruce, there has been lot's of discussion about these on the facebook STONEWARE group site. Some members have emailed the seller, basically being told to "mind their own business", and the seller continues these fraudulent sales. Also, many people are reporting this seller to Ebay, but Ebay seems very slow to act! They look so obviously fake that I can't imagine someone bidding on them, but they are! It's not just about bottles.